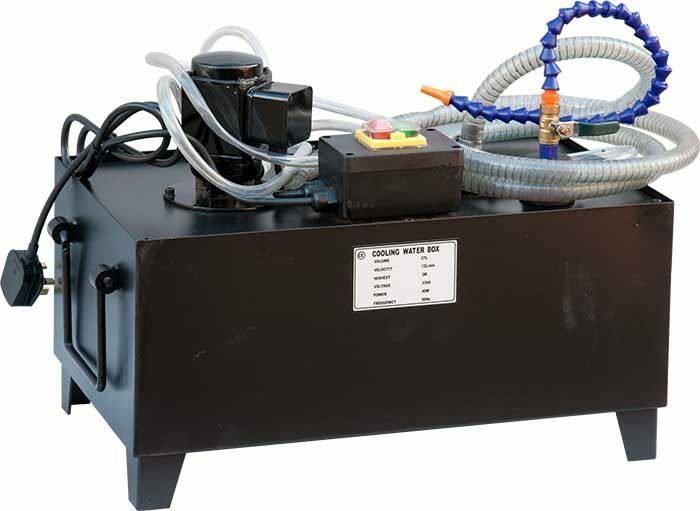 Self-contained coolant system with enclosed steel tank, pump, feed & return hoses and convenient carrying handles. The Loc-line type spout has a magnetic base for easy attachment to the machine and a flow valve. A No Voltage Release (NVR) switch is incorporated so the pump will not automatically restart when power is restored after a power cut. Suitable for use with water soluble cutting fluid such as Rock Oil MAXSYN SLF. Not suitable for use with neat oil. Not rated for continuous use.